Whether you are looking for a particular bottle to celebrate a special occasion or just something to enjoy at home on a Friday evening, our experienced and knowledgeable shop team are always on hand to offer advice and help you find the perfect bottle. With a family home on the Bordeaux Right Bank, Leon has grown up with a passion for wine – indeed, he still delights in discovering the region’s Petits Châteaux. After graduating with a politics degree from Bristol, Leon worked in the world of Lobbying and PR before spending a decade running his own photography business. 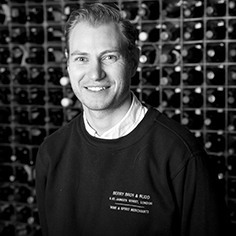 Hanging up his camera, he completed his WSET qualifications in his spare time before coming to work for Berry Bros. & Rudd. Although weaned on Bordeaux, Leon's other favourite regions are California and Cognac. When not sharing his wine enthusiasm with anyone who will listen to him, Leon can be found spending time with his partner and two children. After university, Dario worked for three years in a guitar shop near Venice, then decided to move to London. He worked as a mixologist and bar manager for nearly a decade before falling for wine, thanks to two sommelier friends. Since then, he has spent much of his time exploring food and wine matching – particularly with the wines of Italy, Spain and Portugal. Besides wine, he still maintains a keen interest in music, skiing and climbing. 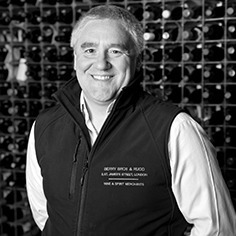 Joe started his wine journey after university by launching himself into the WSET courses. Once these were completed, he took a job in Marlborough, New Zealand as a cellar hand for the 2012 vintage. 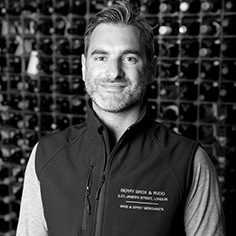 Now – after a few years in hospitality, a couple of other jobs in wine and time spent travelling – Joe is a full member of the Berry Bros. & Rudd family. Joe looks after the spirits section in the Warehouse Shop and has a particular fondness for Bourbon, as well as the wines of South Africa and Australia. 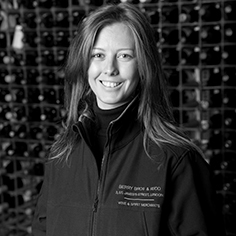 Caroline has always loved wine but came to the wine industry relatively late, after 20 years working for the BBC. She decided to broaden her knowledge of wine by starting the WSET courses, completing Levels One and Two in quick succession. Armed with her new qualifications she joined our Warehouse Shop team in June 2018. 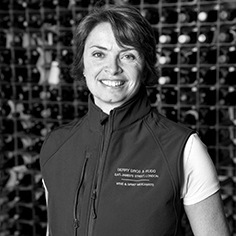 Caroline lived in Lyon so has a soft spot for the Rhône – especially Châteauneuf-du-Pape, which reminds her of her student days – but is also very partial to good white Burgundy. Rebecca joined us with a thirst for knowledge and a taste for Sine Qua Non. Having studied journalism, Rebeca spent three years working as a sommelier in a five-star hotel – happily working her way through the list with and without customers. She now works as Assistant Manager in our Warehouse Shop, in the midst of taking her WSET Diploma. When not at work, Rebecca likes to indulge in a bottle of something special over a home-cooked meal with her fiancé Ben and their French bulldog, Basil.